Dan Hardcastle of the Village Signsmith has always been interested in art. He took classes as a youth and taught himself how to illustrate. 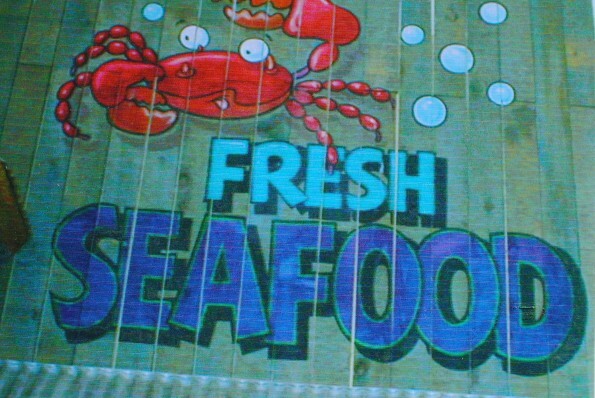 While he was in the military in the 1960’s, Hardcastle reconnected with a long-time friend who referred him to a job painting signs for Associated Foods. 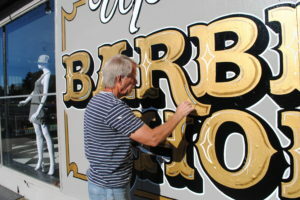 The Village Signsmith specializes in murals, walls, floors, windows and trucks. Hardcastle can work with surfaces ranging from corrugated steel to cinder block. Hardcastle said he is never bored because there is so much variation in his work. Some of his recent work includes several businesses in Sugar House such as a yoga center, Este Pizza, and an awning logo painting at Madeline’s Coffee shop. 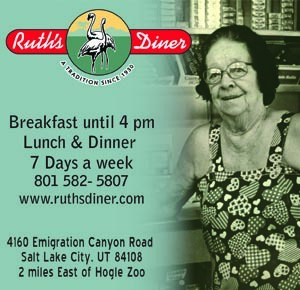 In downtown he has worked for Harmon’s, Utah Stories, Classic Cleaners and Uprok Records. 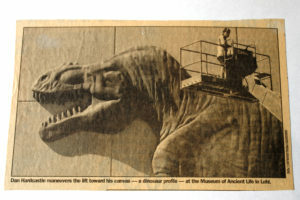 One of Hardcastle’s most memorable assignments was for Thanksgiving Point’s Dinosaur Museum outdoor mural. He painted a life sized Camarasaurus and Tyrannosaurus-Rex over a two week period. Despite all the changes in commercial advertising, Hardcastle has stuck with his craft. He related that 20 years ago naysayers believed that unless he switched to digital vinyl prints, he would go out of business very quickly. He proved them wrong. 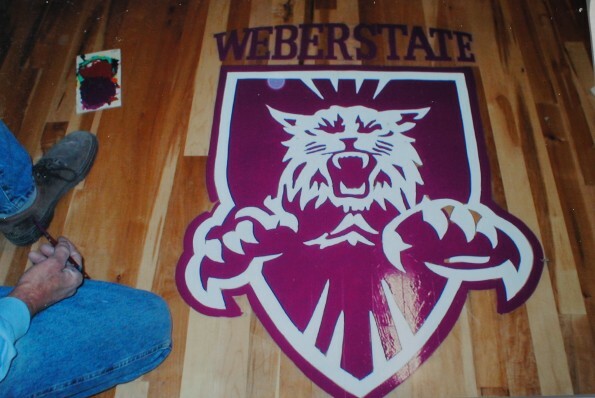 Hardcastle has been in the hand sign painting business for 45 years and is still going strong. 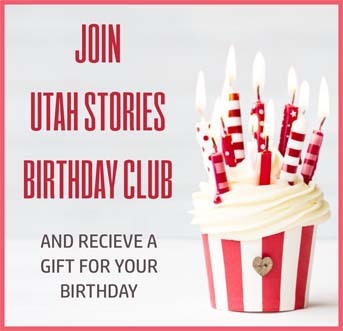 Dan Hardcastle can be contacted at 801-266-8452.